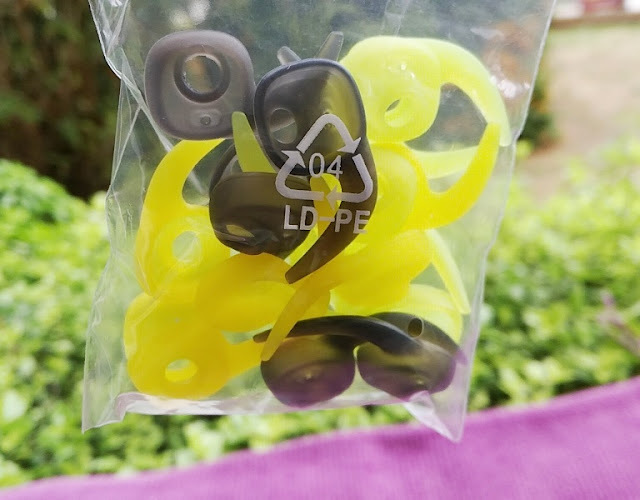 While the jury is out on flat cable vs round cable earphones, flat cable earphones are without a doubt better at preventing the tangled mess you get with rounded cable earphones when you wind them up! 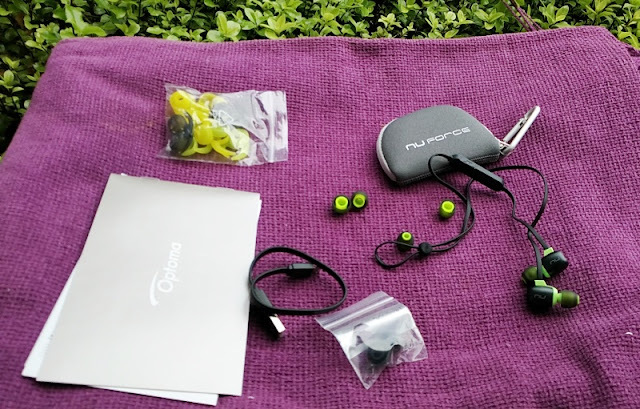 If you're looking for truly flat cable earphones or you simply like the flat-cable style, the Optoma NuForce BE Sport4 earphones won't disappoint you because they are as flat as udon noodles with a sweat and water resistant IPX5 rating. 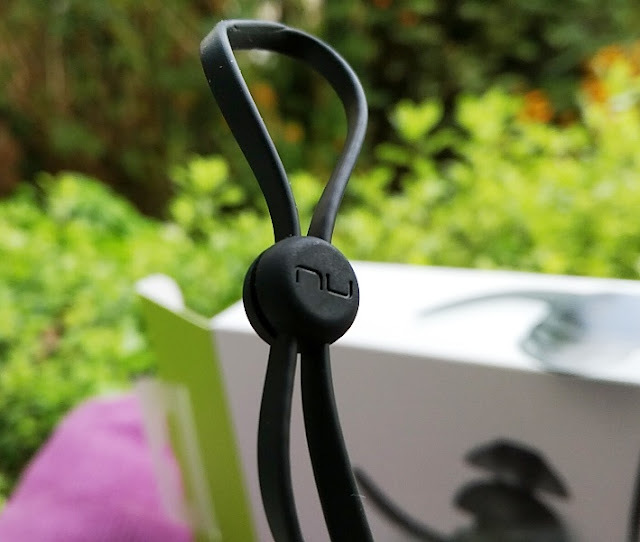 The NuForce BE Sport4 have a very long, almost 2 feet long kevlar cable with a sizeable thickness to it so it is less likely to break prematurely. 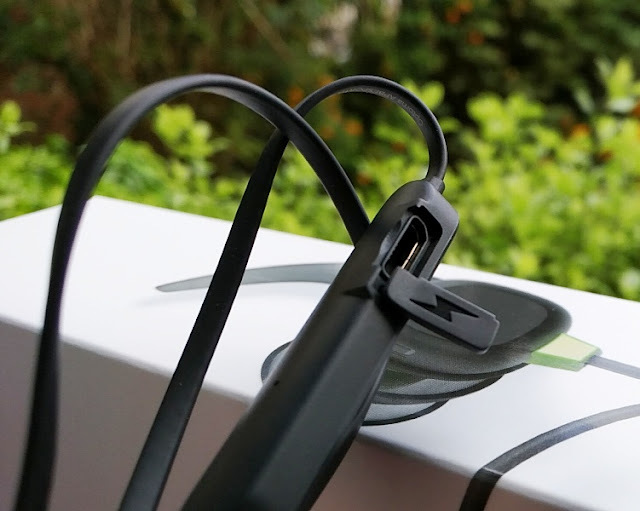 Handling flat cables is definitely easier because you can fold away flat cables quicker without stressing or tangling the cables like you would earphones with rounded cables. 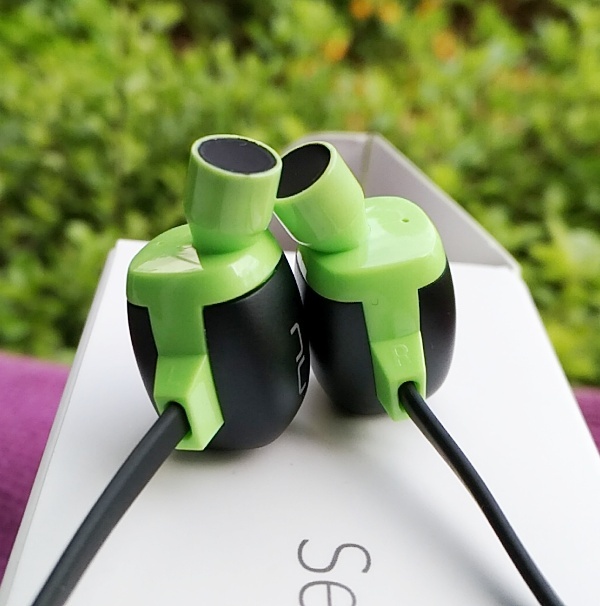 The backside of the earphone casing is flat and made with magnetized metal while the front leading to the nozzle is made of smooth plastic. The total weight is 15 grams so the NuForce BE Sport4 are very lightweight. You hardly notice them in your ears. 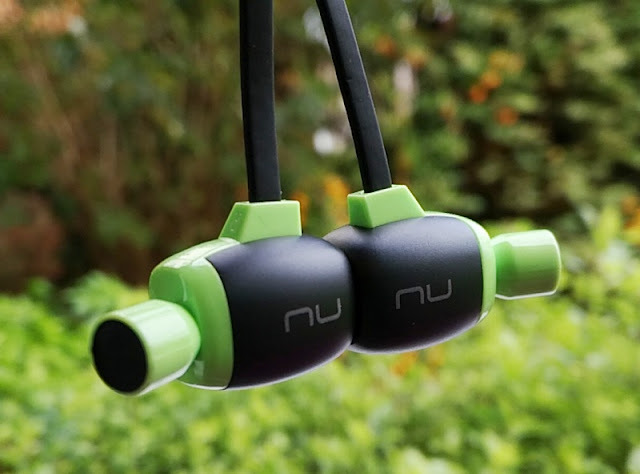 Speaking of fit, the NuForce BE Sport4 earphones come with a cable management clip, as well as add-on ear rubber wings and SpinFit TwinBlade ear tips that you can attach for times when you require a more secure fit. 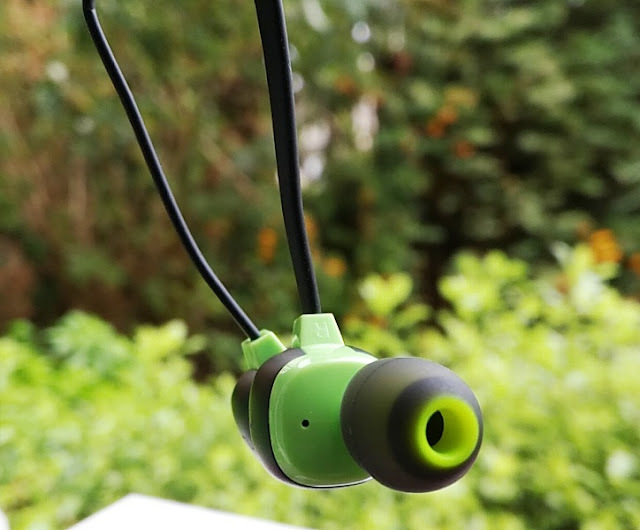 Having angled nozzles also makes the fit more comfortable and secure in your ears. 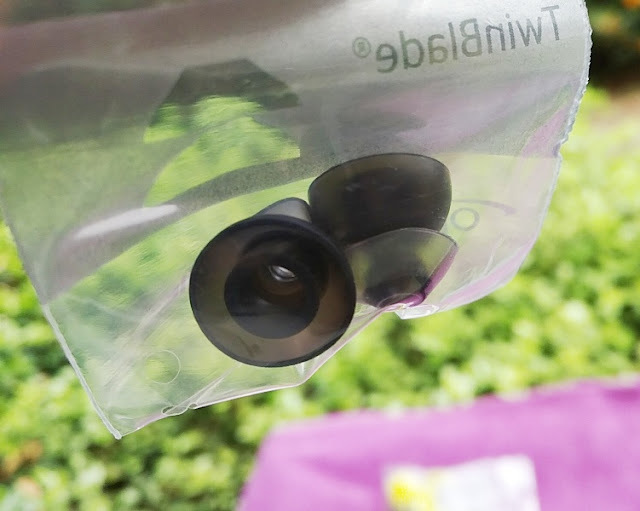 While mentioning the SpinFit TwinBlade ear tips, it's worth emphasizing how good these ear tips are. They look like regular double flange ear tips but have a rotating joint in the centre that allows the tip to rotate around full circle when inserted in the ear canal. 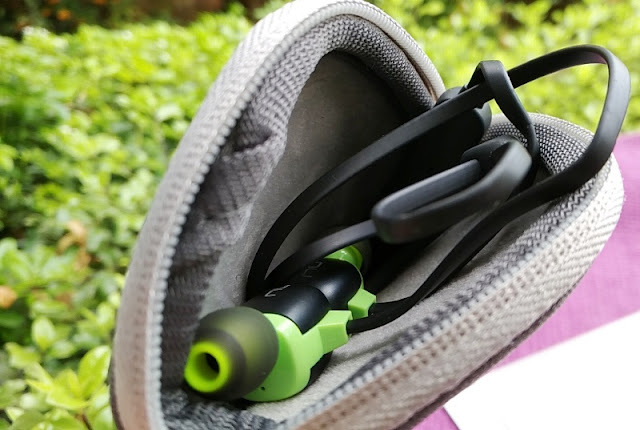 The NuForce BE Sport4 nozzle is compact with a very wide diameter, much larger than the nozzles on most earbuds you see these days. 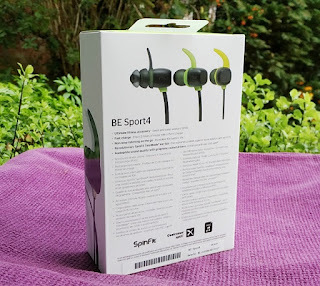 The nozzles on the BE Sport4 earphones are very peculiar indeed, adding more quirkiness to NuForce BE Sport4 earphones. Bigger nozzles would let in more sound pass through. 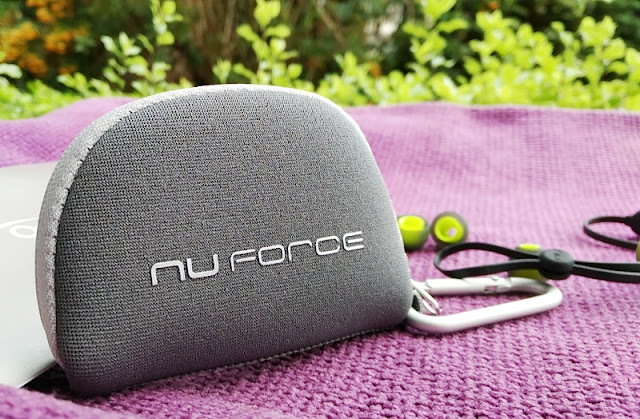 Whichever the case, the NuForce BE Sport4 sound superb with a high volume gain too. 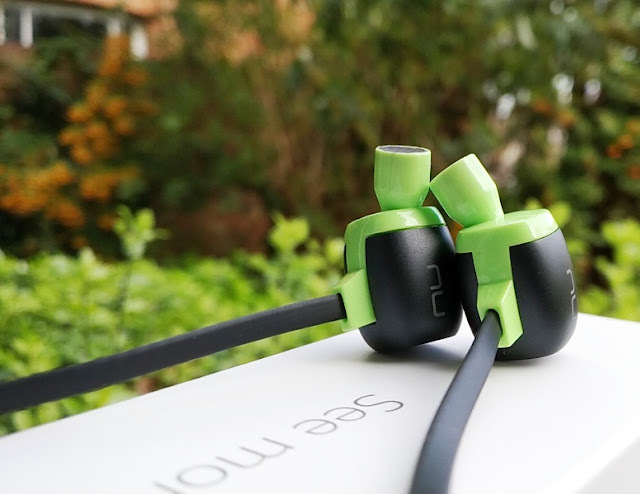 The NuForce BE Sport4 earphones body resembles a wide mug with smooth curves that can be comfortably cupped with your fingers. 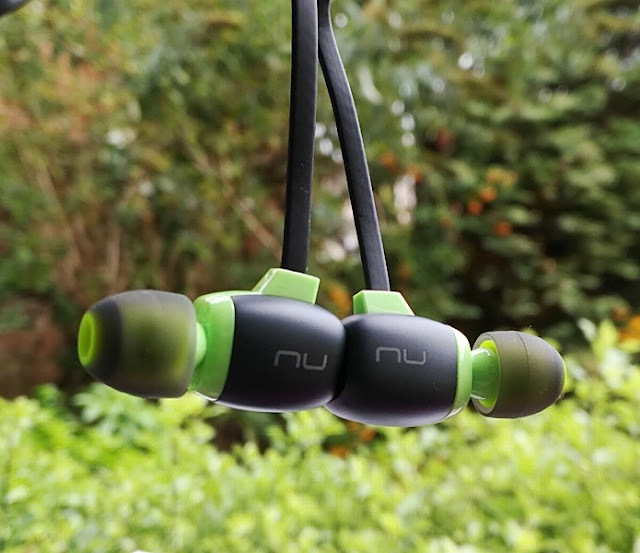 Internally, the NuForce BE Sport4 earphones feature 6mm graphene-coated drivers with high sensitivity (92dB +/-3dB at 1KHz) and 32Ohm impedance so the BE Sport4 earphones can be turned up loud enough with little distortion (loud enough to block the sound of clanking weights and people chatter). The sound signature is flat sounding with a frequency response of 20Hz - 20kHz with treble and bass naturally balanced. 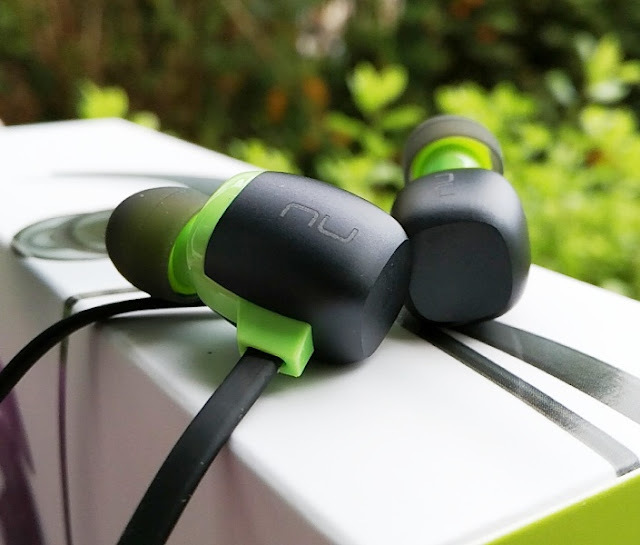 The NuForce BE Sport4 earphones support high quality audio for both Android and Apple devices thanks to the integration of aptX and AAC audio codecs. 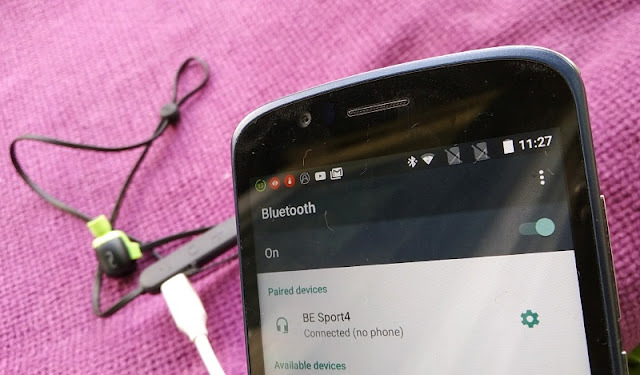 Wireless connectivity via bluetooth 4.1 is strong and stable with a 10-metre bluetooth signal range so you can keep your phone in a bag or pocket while working out in the gym. You can pair the BE Sport4 to up to 8 different phones. 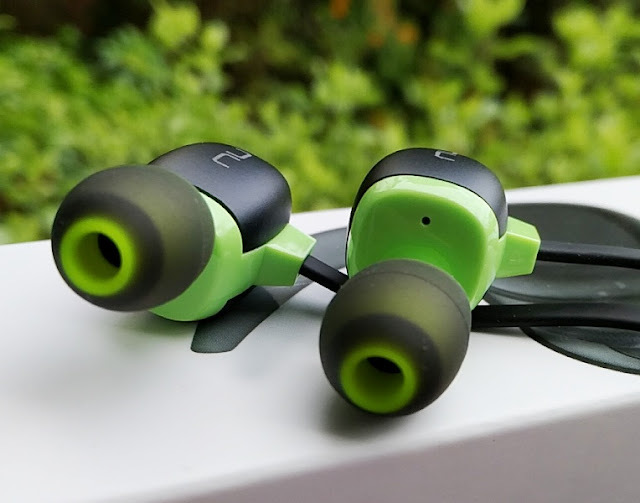 The NuForce BE Sport4 flat cable earphones support Quick Charge so a 30-minute charge of the battery can power the BE Sport4 earbuds for 3.5 hours on 80% volume. The maximum battery capacity is 10 hours which only takes 1.5 hours to store. 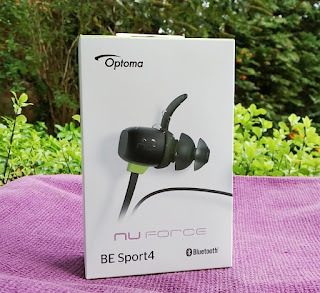 To save battery the NuForce BE Sport4 automatically powers off after 3 minutes of inactivity. When battery is low (under 15 minutes remaining), you hear an alert beep or voice prompt. If you want to check the battery level, you can do it visually by holding down all three buttons on the remote at the same time and watching how many times the blue and led light flashes on the led indicator. The led will either flash two times (battery low), three times (50% battery) or five times (full battery). 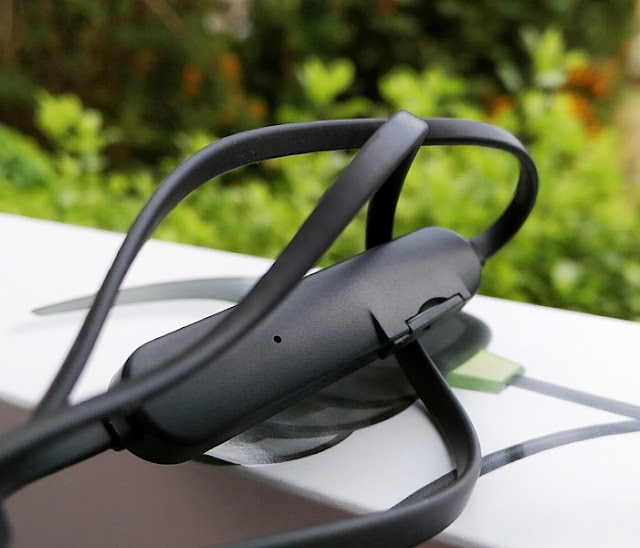 Voice prompts can also be disabled manually from the NuForce BE Sport4 earphones, which is a welcome feature since you cannot do this with most bluetooth earphones. To disable voice prompts, you simple hold down the power button and volume down at the same time for 2 seconds (to enable voice prompts you do the same but instead holding down the volume up button). The in-line 3 button remote has a built in mic with high sensitivity (-42dB +/-3dB), meaning the microphone has a high volume so the person on the other end is able to hear you clearly without being close to the mic. The 3 button remote has full audio playback functionality so you can skip tracks, control volume, play/pause, answer/reject calls and even mute on or mute off the microphone during a call by pressing both volume controls simultaneously. You can also switch the hands-free call from the mic directly to your phone. 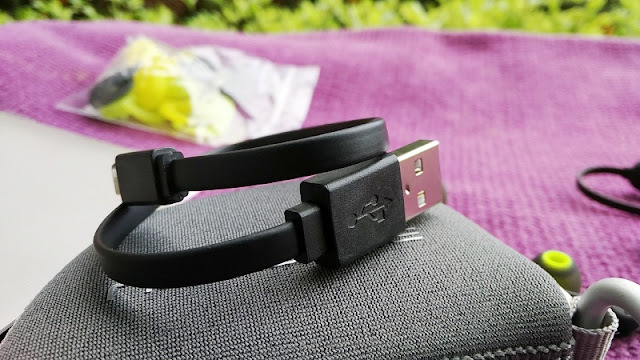 The bundled accessories are very generous and good quality. 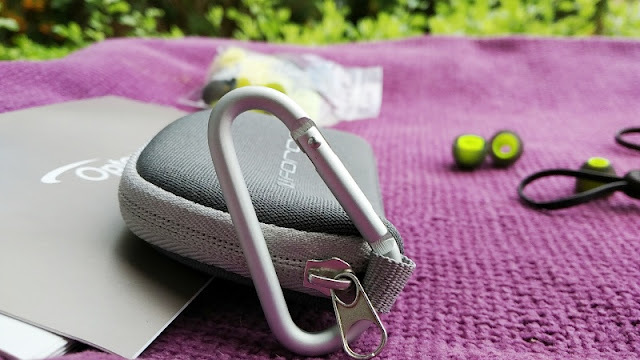 You get a snazzy zipper pouch too which comes with a handy carabiner clip.